ADHD is a chronic condition that affects millions of children and often persists into adulthood. At the Institute of Biobehavioral Medicine (IBBMed) we recognize that ADHD is a clinical diagnosis, and it is best to perform a comprehensive evaluation to assess for underlying levels of anxiety, repressed anger, and childhood trauma and other issues. Gathering as much information as possible about your child is the best way to get an accurate diagnosis and rule out other possible causes of your child’s symptoms. The most common symptoms of ADD / ADHD are inattention and distractibility and/or hyperactive and impulsive behaviors. Difficulties with focus, concentration, and inhibition of impulses and behaviors. These behaviors are pervasive and impair an individual’s daily functioning across various settings — home, school or work, in relationships, etc. Symptoms are typically seen early in a child’s life, often when he or she enters a school setting. In addition, children with ADHD also may struggle with low self-esteem, troubled relationships and poor performance in school. ADHD symptoms may be a challenge to the parents and children alike and treatment can make a big difference; most children with ADHD grow up to be normal adults. 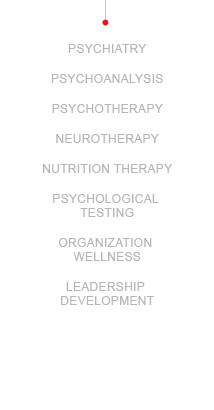 Treatment typically involves a combination of behavioral interventions, psychotherapy, neurofeedback and medications. In order to be diagnosed with ADHD, signs and symptoms of the disorder must appear before the age of 7. In some children, signs of ADHD are noticeable as early as 2 or 3 years of age. Oppositional defiant disorder (ODD): this condition is generally defined as a pattern of negative, defiant and hostile behavior toward authority figures. Conduct disorder: A more serious condition than ODD, conduct disorder is marked by antisocial behavior such as stealing, fighting, destroying property and harming people or animals. Depression and bipolar disorder: Depression frequently occurs in children with ADHD. Some children may have bipolar disorder, which includes depression as well as manic behavior. Anxiety disorders: tend to occur fairly often in children with ADHD and may cause overwhelming worry, nervousness and worsening of ADHD symptoms. Once anxiety is treated and under control, children are better able to deal with the symptoms of ADHD. Learning disabilities: are common in children with ADHD. However, gifted learners also may have ADHD. Children with both ADHD and learning disabilities may need extra attention in the classroom or special education services. Tourette’s syndrome: Many children with ADHD also have Tourette’s syndrome, a neurological disorder characterized by compulsive muscle or vocal tics. Children with ADHD often benefit from behavior therapy or counseling, which may be provided by a psychiatrist, psychologist, social worker or other mental health care professional. Some children with ADHD may also have other conditions such as anxiety disorder or depression. In these cases, counseling may help both ADHD and the coexisting problem. Medication Treatment: There are different classes of medications available for treatment of ADHD. Medication treatment should be part of comprehensive treatment mode. Neurofeedback: Neurofeedback and the emerging field of Neurotherapy is a holistic approach of sensory-neuronal integration . Behavior therapy: Teachers and parents can learn behavior-changing strategies for dealing with difficult situations. These strategies may include token reward systems and timeouts. Psychotherapy: This allows older children with ADHD to talk about issues that bother them, explore negative behavioral patterns and learn ways to deal with their symptoms. Family therapy: Family therapy can help parents and siblings deal with the stress of living with someone who has ADHD. Social skills training: This can help children learn appropriate social behaviors. Support groups: Support groups can offer children with ADHD and their parents a network of social support, information and education. Currently, stimulant drugs (psychostimulants) and the nonstimulant medication atomoxetine (Strattera) are the most commonly prescribed medications for treating ADHD. Stimulants appear to boost and balance levels of brain chemicals called neurotransmitters. These ADHD medications help improve the core signs and symptoms of inattention, impulsivity and hyperactivity — sometimes dramatically. However, these medications only work for a limited time. Additionally, the right dose varies from child to child, so it may take some time in the beginning to find the correct dose. Stimulant drugs are available in short-acting and long-acting forms. The short acting forms last about four hours, while the long-acting preparations usually last between six and 12 hours. A few children may develop jerky muscle movements, such as grimaces or twitches (tics), but these usually disappear when the dose of medication is lowered. Stimulant medications may also be associated with a slightly reduced growth rate in children, although in most cases growth isn’t permanently affected. Although rare, several heart-related deaths occurred in children and adolescents taking stimulant medications. The increased risk of sudden death is believed to be in people who already have underlying heart disease or a heart defect. Your child’s doctor will make sure your child doesn’t have any signs of a heart condition, and will ask about family risk factors for heart disease before prescribing a stimulant medication. Atomoxetine is generally given to children with ADHD when stimulant medications aren’t effective or cause side effects. In addition to reducing ADHD symptoms, atomoxetine may also reduce anxiety. Given one or two times a day, atomoxetine side effects can include nausea and sedation. It can also cause reduced appetite and weight loss. Atomoxetine has been linked to rare side effects that include liver problems. If your child is taking atomoxetine and develops yellow skin (jaundice), dark-colored urine or unexplained flu symptoms, contact the doctor right away. There may also be a slightly increased risk of suicidal thinking in children and adolescents taking atomoxetine. Contact your child’s doctor if you notice any signs of suicidal thinking or other signs of depression. Antidepressants: These medications are generally used in children who don’t respond to stimulants or atomoxetine, or who have a mood disorder as well as ADHD. Clonidine (Catapres) and guanfacine (Intuniv, Tenex): These are high blood pressure medications shown to help with ADHD symptoms. They may be prescribed to reduce tics or insomnia caused by other ADHD medications, or to treat aggression caused by ADHD. In general, the best results usually occur when a team approach is used, with teachers, parents, and therapists or physicians working together. You can help by making every effort to work with your child’s teachers and by referring them to reliable sources of information to support their efforts in the classroom.